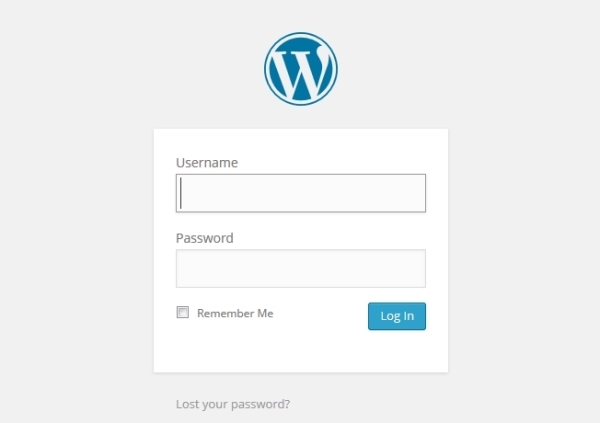 If you haven’t installed WordPress yet, please return to Step 2 to learn how. 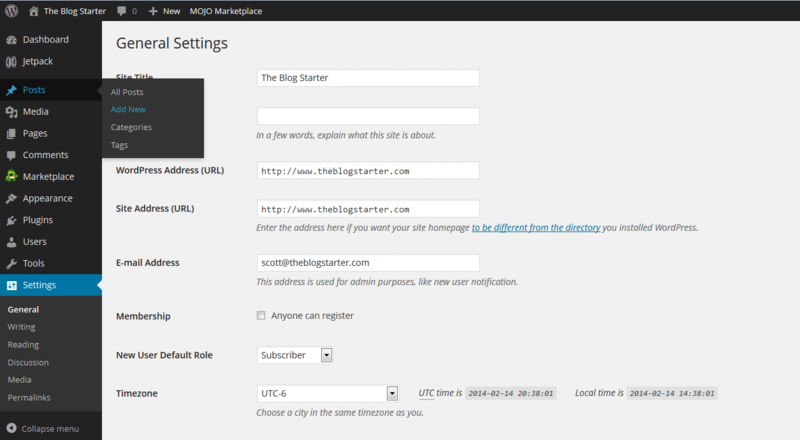 Once you have WordPress installed on your site you are just about ready to start blogging. 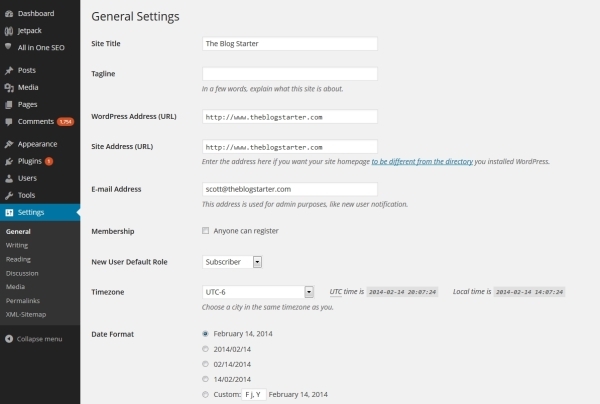 In this step, I am just going to show you the basics to get you up and running with your new WordPress blog. The next step after this one will show you some more advanced changes you can make to personalize the design and structure of your blog. To start with, you will need to login to your site. Go to http://www.yoursite.com/wp-admin to bring up the login screen (replace “yoursite.com” with your domain name). If you are unsure of your login name or password, check the email that was sent to you from BlueHost that has this information. Once you save these changes they will immediately be live on your site. To see what your site looks like at any time you can just type your domain name in the browser and hit enter. 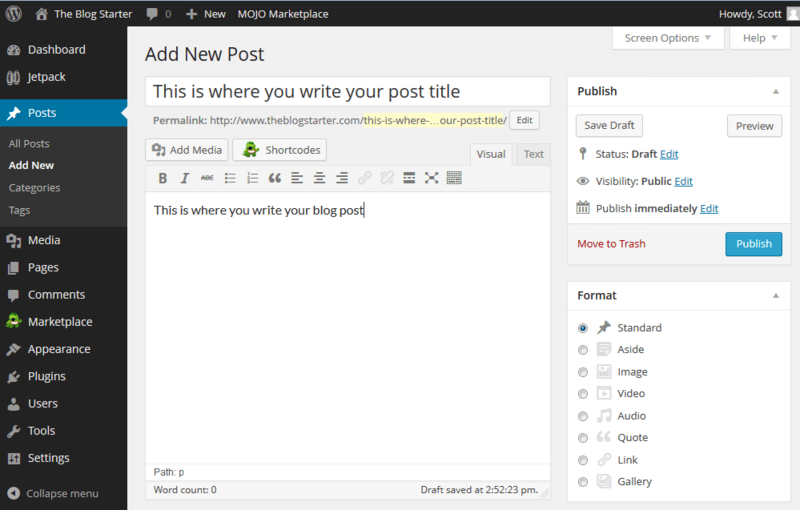 Blogging is all about writing, so let’s learn how to write your first blog post. You will see there is already a post there titled “Hello world!” This is a default post on every new WordPress blog, and we don’t need it. To delete it click “Trash” just under the post. To begin writing a new post, click the “Add New” link (found in either the left menu or next to the word “Posts”). When you are ready to remove that page, you can do so by logging-in to your blog, clicking “BlueHost” on the left menu, and then clicking “Launch”. Congratulations! 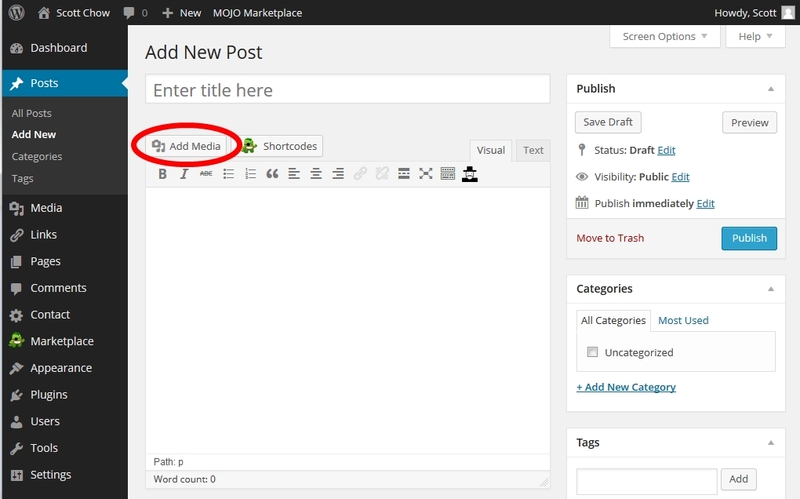 You now know how to publish content on your site! 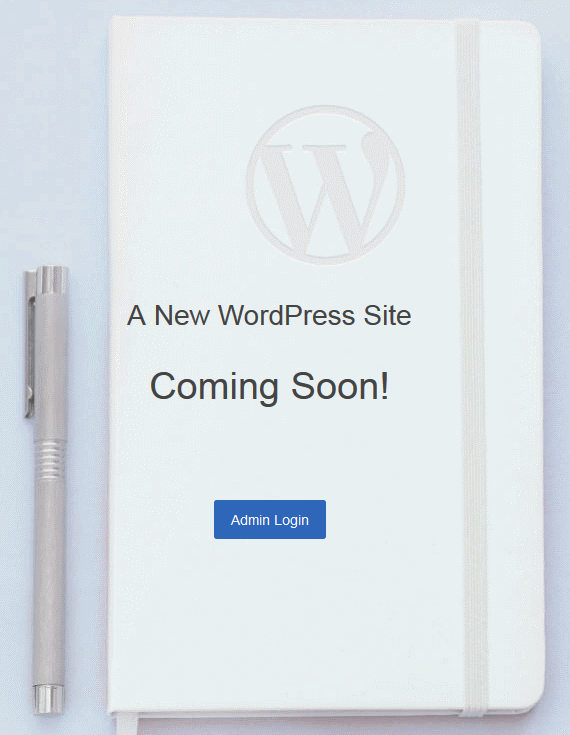 You will probably want to make some more changes to your blog as I describe in the next step, but none of them are absolutely necessary, since your site is already live and ready for the world to see!